Even though the number of students in the world is growing, Canada will have to up its game if it wants to continue attracting international students. The top sources for international students going to Canada, are China and India. In fact, China sends more of its students to Canada than to any other destination. These countries however, are pushing to improve their own higher education systems. They aim to entice foreign students to study there as well as improving the enrollment rates of domestic students. The Canadian government is behind the drive to keep Canada at the forefront of study abroad destinations. Currently international students can obtain a three-year graduate work permit to stay in Canada and find a job in any industry. 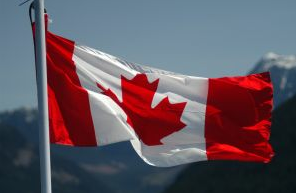 As part of Canada’s Economic Action Plan (EAP) budget 2011 has allocated CAD$10 million over two years to implement an international education strategy. It aims to make Canada a major player in the study abroad market. The strategy will include promotion and advertising initiatives and the strengthening of international representation in key markets.